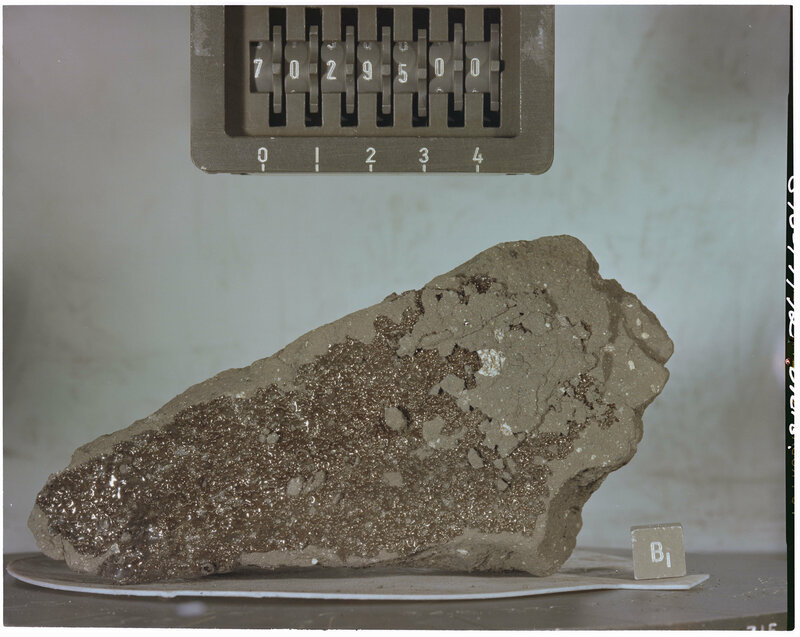 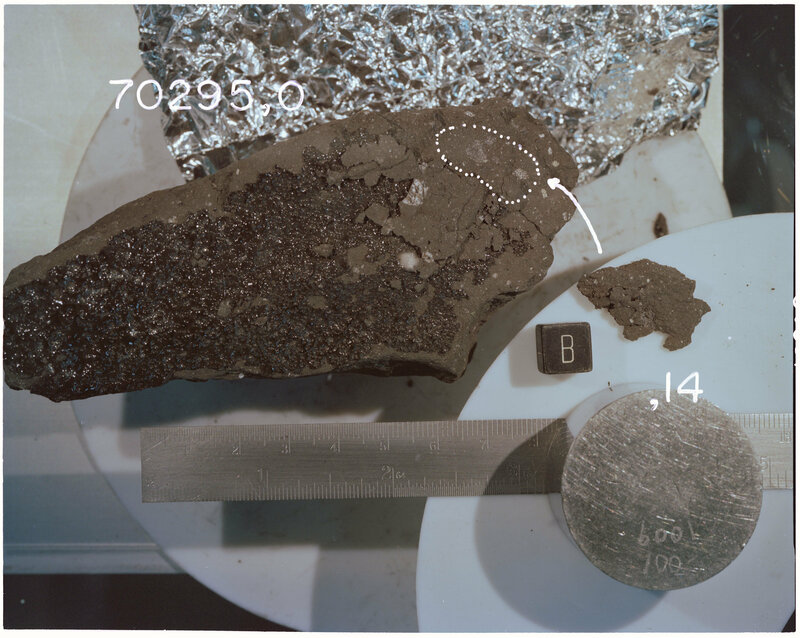 Color photograph of Apollo 17 Sample(s) 70295; Orthogonal type with orientation B. 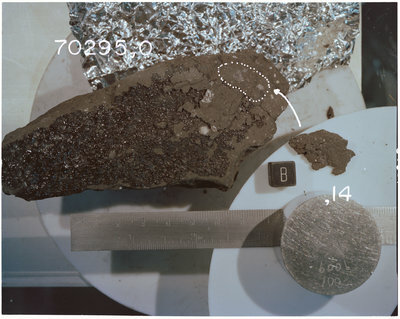 Color photograph of Apollo 17 Sample(s) 70295,0; Processing photograph displaying an orientation of B. 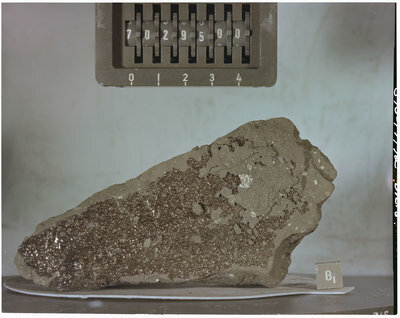 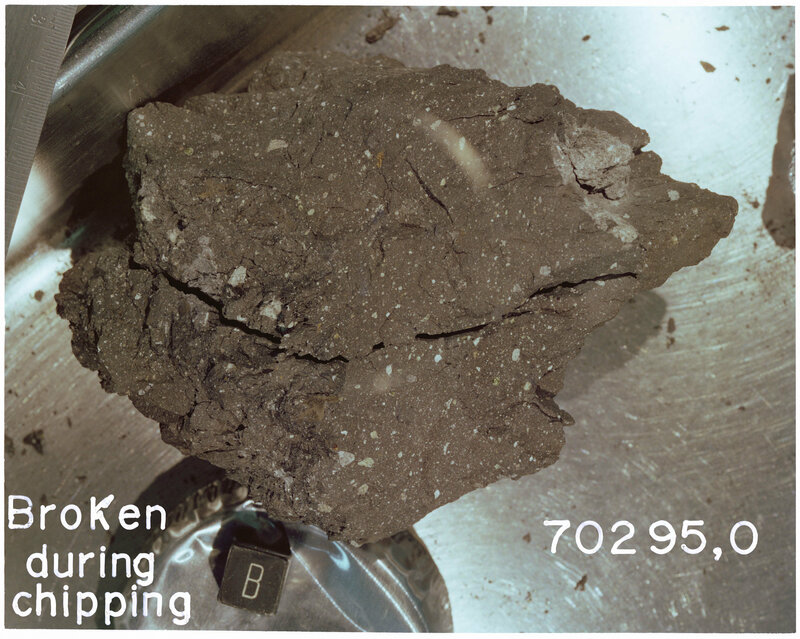 Color photograph of Apollo 17 Sample(s) 70295,0; Processing photograph displaying a reconstruction with an orientation of B.